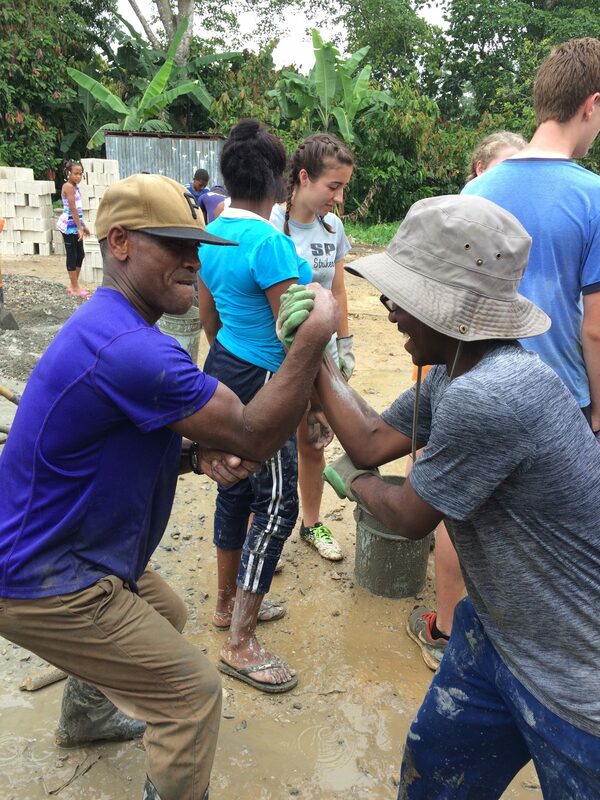 This summer, students from RePublic High School and Institute of Notre Dame traveled to La Parcela, a small rural community in the Monte Plata province of the Dominican Republic. Prior to the Courts for Kids project, the community’s court had fallen into disrepair. It had been poorly built a number of years ago and was in definite need of a rebuild. 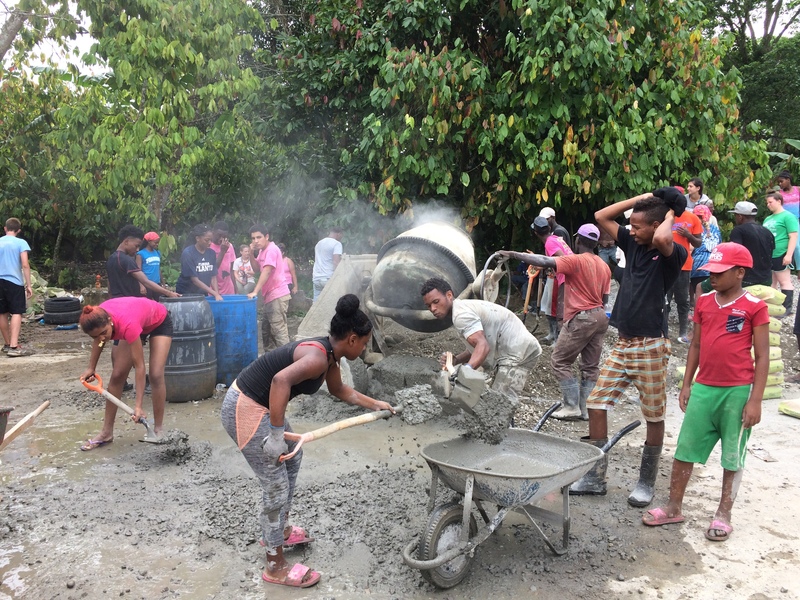 After months of planning and fundraising within the community, the group of students from two different schools arrived and worked alongside the La Parcela community members to help finish up land prep, mix concrete (sometimes by hand! ), and pour concrete in order to redo the court. 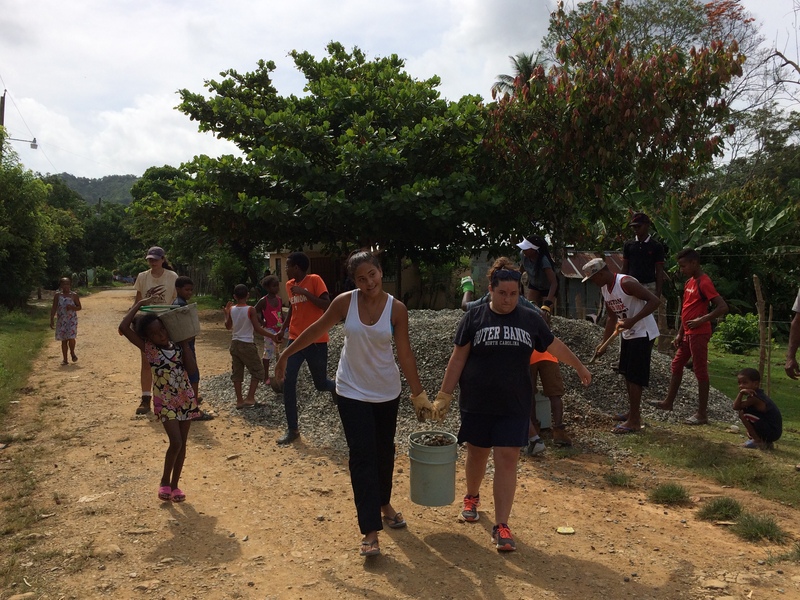 As with all Courts for Kids trips, the US students lived and worked alongside Dominican students during the entire week. 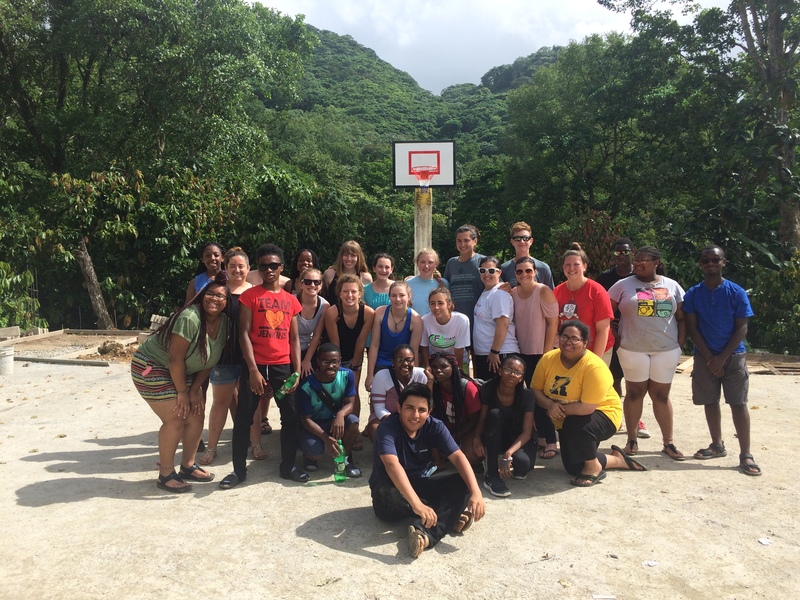 In the downtime, they swam (and bathed) in the river, played volleyball, hiked for mangoes, practiced their Spanish, and enjoyed a variety of local Dominican cuisine. But this trip was especially unique. 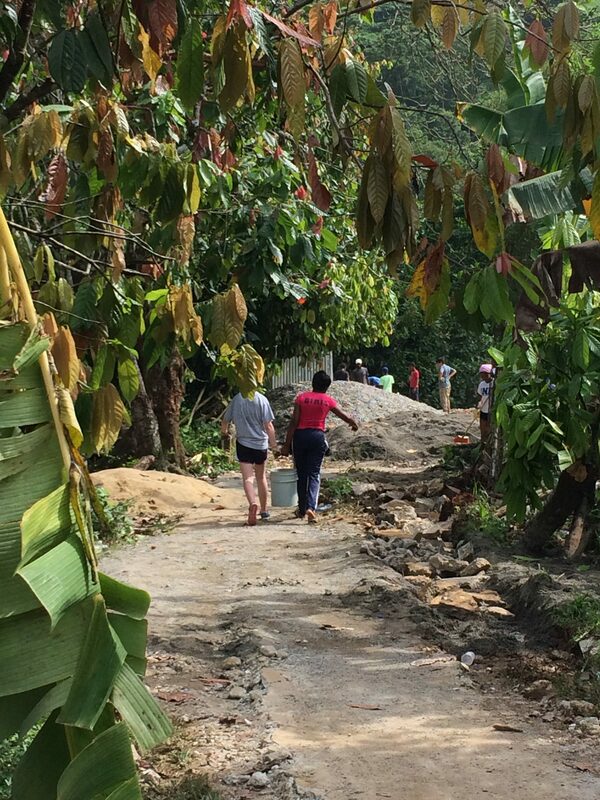 One of the teachers and chaperones, Bethany, of the Republic High School had been a Peace Corps volunteer in the community of La Parcela, finishing her service just three years beforehand! Bethany, along with the current volunteer, Sam, who helped initiate and manage the court project, made us feel right at home and allowed us to have a truly authentic experience. The success of this project, from both a construction and cultural exchange perspective, would not have been the same or even possible if not for the relationships the two of them have created and maintained with the members of the community. The court is always the goal of the trip, but the magic of the project is found in the process; the friendships created between people from very different cultures that finish the week realizing they have way more in common than they thought. 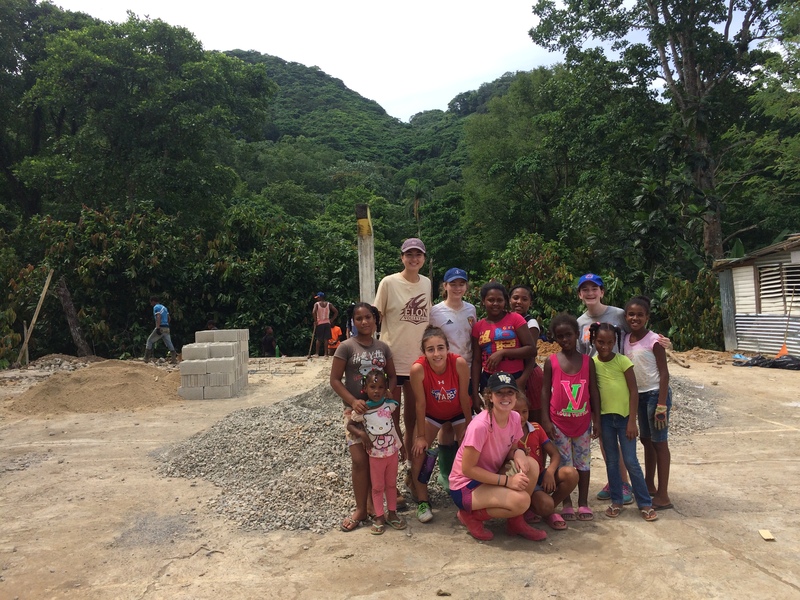 The students and the youth of La Parcela became close – they were able to make friendship bracelets, play volleyball together, share meals together, and even share the unfortunate mini-epidemic of pink eye! 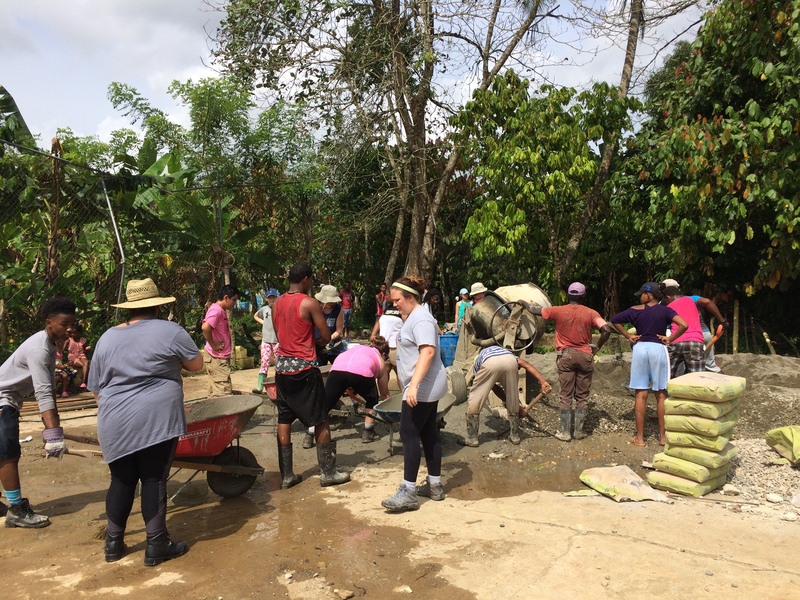 On the last night of the trip, the community and entire group celebrated a court inauguration and goodbye party on the freshly poured concrete. Several students and community leaders shared stories about their experience of the court process and the week we spent together, saying how they will never forget this experience and are so grateful for one another. Later, students reflected on what this trip meant to them and what they learned during their time in La Parcela. Here are some of the quotes that show the truly transformative experience they had!